Saskatchewan MLA Yogi Huyghebaert is seen in this undated file photo. Former MLA, minister and Snowbird leader Yogi Huyghebaert passed away on Thursday at the age of 74. 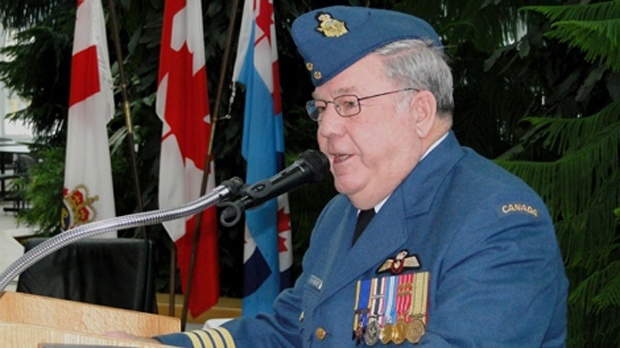 Lt.-Col. Huyghebaert joined the Royal Canadian Air Force in 1961, where he trained to become a pilot. He served as a pilot in West Germany and was later chosen to fly with and lead the Snowbirds. In 1987 he was awarded the Order of Military Merit for his outstanding service with the air force. After his retirement, Huyghebaert lived on a ranch with his wife Phyllis and became one of the earliest members of the newly formed Saskatchewan party in 1997. After losing by one vote in the 1999 provincial election, Huyghebaert won the by-election in 2000. He was re-elected in 2003, 2007 and 2011. Huyghebaert was the Minister responsible for corrections, public safety and policing before becoming the government military liaison.